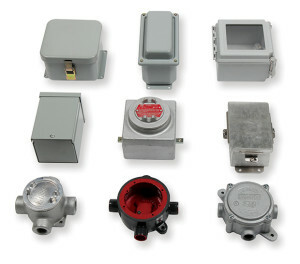 1) Enclosures for manufacturer specific equipment. These are, for example, enclosures for manufacturer specific circuit breakers or motor control items. 2) Enclosures that are not specific to a particular piece of equipment but are designed for applications that are environment specific. We carry enclosures in both categories and environment classifications, Type 1, 3R, 4X, 12 and explosion proof.